Yes another multi-part review...What can you do? Some months back I was graciously offered a trio of Maker's Mark Samples by @paddockjudge I am a sucker for this kind of comparison flight of whiskys also the judge has often claimed the Standard Maker's to be among his favorites. I have fond memories of drinking Maker's in the early stages of my whisky appreciation, I know I preferred it over Jim Beam white or Old No7 which we're the other easily attainable bourbons at the time but can't for the life of me remember why I was steered towards it. Ok we are starting with the standard Maker's Mark, it's probably the most commercially sold wheated bourbon but doesn't stir up the frenzy that Weller does. The sample was decanted from a bottle open about 9 months. Finish: The finish fades fast, leaving astringent oak and a bit of lingering caramel sweetness. There's a feeling of dried leaves & flowers and toasted bread and a few flecks of tobacco remaining in a tin. Notes: The nose of this thing is a beauty, I am unsure if this is from the effect of a long opened bottle or a good batch...I have to say I wasn't expecting this at all. Unfortunately the palate doesn't reach the same level, it is kind of abrupt and brittle, the texture doesn't help any of the rich notes to stick around. Thanks for the review. I liked Maker’s but didn’t love it. That said, it’s a far more enjoyable and consistent pour than standard Buffalo Trace or Bulleit....and those seem to be the only three bourbons available in every pub and bar around me. 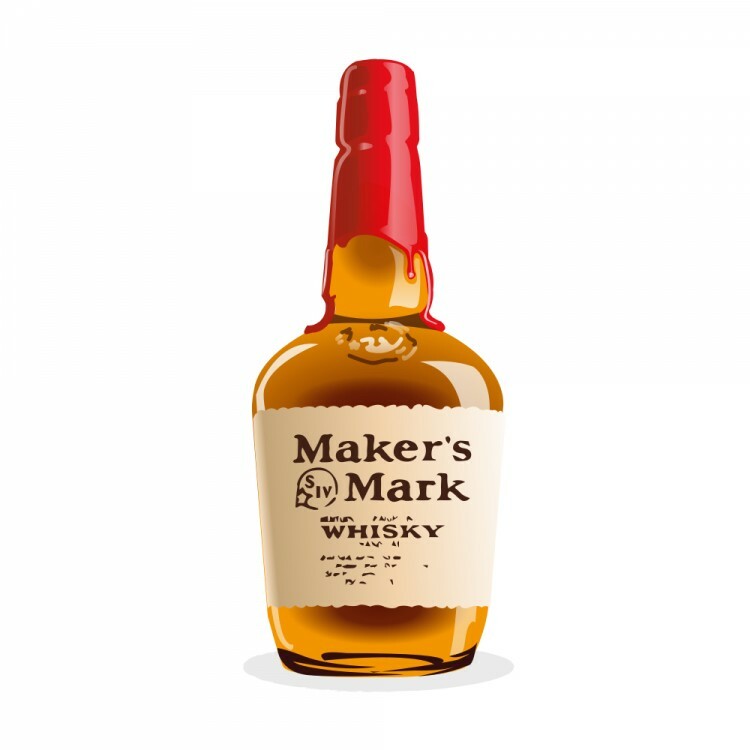 At best, Maker’s is toasty, oaky, vanilla frosting goodness, and at worse it’s a bit harsh, but never unpleasant. Bulleit and BT can often be very bad. I think doing the exercise of trying all three rather than just this in isolation brings a better view of the individual whiskys. Indeed this isn't a revolutionary bourbon but I really enjoyed the nose which helped lift it up but you are correct both Bulleit and the Standard BT can vary so much. For Bulleit I can blame it on the fact that is it sourced but for BT it's rather sad but I guess they are squeezing every last bit of their good barrels into so many brands. @cricklewood - Nice review! I've had this in bars lots over the years and usually liked it but when I bought a bottle a couple of years back it was all acetone and wood right off the bat. It did settle down a bit and I like(d) the overall flavour profile but I've been put off buying it ever since. In the UK it sells for £25 - 30 and I think I'd prefer to stump up a few ££s extra and get a WT 101. I have always felt that Maker’s Mark was your typical bar brand. At least, that is where I tend to see it most. I have a bottle of 46 that I haven’t sampled in a few years now. I can’t imagine ever buying this product again. Standard Maker's Mark? Not a sipper for me. I've said that for about 8 years now. Now Maker's 46 is a big step up in my book. I will sip Maker's 46. For me the alcohol greeting of most of the standard Maker's Mark I have tried over the years has been greater than that of some 70% ABV bourbons which I have owned. 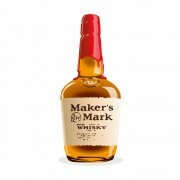 I do think that standard Maker's Mark is a fabulous cocktail whiskey. I don't mind Maker's Mark, especially if it is cabinet aged. Not all batches are created equal. One particularly memorable pour of MM standard was enjoyed nearly three years ago at Toronto Pearson International Airport. While waiting for a departure flight to Houston I had a burger and bourbon, single patty, double pour. The MM was impressive. I had another. It wasn't because nothing else was available. I had a full litre of ultra premium whiskies in 100 ml clear plastic vials. I'm a well-pickled traveler. @casualtorture by all means try Maker's Mark Cask Strength. I recommend a sample rather than a bottle. I hope that there is a lot of variation in Marker's Mark Cask Strength, because the bottle @Nock bought about 3 or 4 years ago when it first came out pleased neither one of us. And I love wheated bourbon. Maker's 46 is the only Maker's of which I would currently buy a bottle, absent tasting the exact batch of one of the other products first. I don't need to buy any Maker's 46 because I still have some from the bottle I bought of it 7 years ago, and a friend gave me a still unopened bottle of it 5 years ago. 6 days ago 2Who liked this? @casualtorture, I too prefer the standard Maker's Mark to Weller Special Reserve.